As the Battle of the Bulge raged, a small force of American solders—including the famed 101st Airborne division, tank destroyer crews, engineers, and artillerymen—was completely surrounded by Hitler's armies in the Belgian town of Bastogne. Taking the town was imperative to Hitler's desperate plan to drive back the Allies and turn the tide of the war. The attack would come just before dawn. As the outnumbered, undersupplied Americans gathered in church for services or shivered in their snow-covered foxholes on the fringes of the front lines, freshly reinforced German forces of men and tanks attacked. The battle was up close and personal, with the cold, exhausted soldiers of both armies fighting for every square foot of frozen earth. In the end, the Allied forces would hold the town of Bastogne, with the hard-won victory boosting morale and sounding the death-knell for Hitler's Third Reich. After this battle, the Nazis would never go on the offensive again. 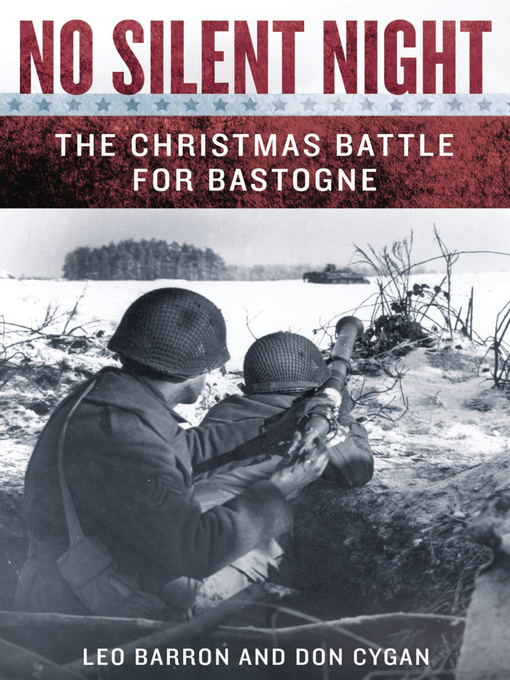 Featuring interviews with the soldiers who were there, as well as never-before-seen or translated documents, No Silent Night is a compelling chronicle of one day that changed the course of the war—and the world.